Posted at: 1/22/2012 08:00:00 AM . 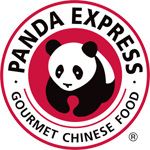 Like Panda Express on Facebook and you can print out a coupon that's good for one free Firecracker Chicken meal valid only on Monday, January 23, 2012. There is also a coupon for buy one/get one free valid from January 24, 2012 until February 14, 2012.